Gardner Martin Kelley. 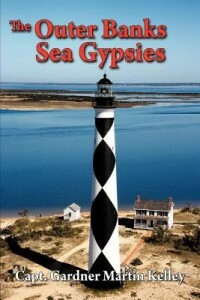 The Outer Banks Sea Gypsies. Bloomington, IN: AuthorHouse, 2011. Captain Gardner Martin Kelley has “many tales to tell” from a long life spent working on yachts, steamships, and in a World War II Liberty Shipyard. Born in 1913 on an island off the coast of Maine, this ninety-eight-year-old author has crafted a gripping story of rum running and survival on the Outer Banks beginning in 1923, as the dawning of a new age in technology saw the end of the very last cargo sailing schooners. His tale follows three individuals, beginning with the young sailor Ron Fickett, whose father is brutally murdered by scavengers after the elder Fickett wrecks their schooner in the infamous Graveyard of the Atlantic off the North Carolina coast. The second plot concerns Johnny Mapp, one of the many “bankers” who arrive to salvage material from the schooner and witnesses Captain Fickett’s murder. He decides then that he and his family should move on, away from such brutality. The Mapp family build a floating houseboat, living off the land and selling their catch from the bountiful waters to buy what they can’t hunt or gather. Meanwhile, Ron searches first for his father, and then for revenge when he learns the truth of his death. Finally, Kelley’s story follows Cissy Mapp, Johnny’s younger sister, who is tragically kidnapped by Cuban rum runners and sold into slavery. 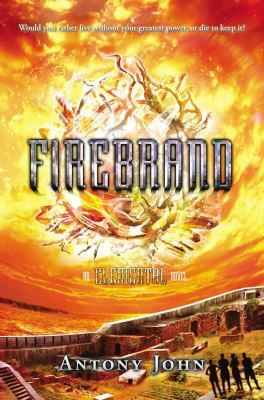 She escapes and assumes the identity of a street urchin called Tiar, growing up among the orphans and street children of Havana. She sells her body to survive, but eventually finds her way back to her family … with a plan to corner the market in running liquor, illegal during this era of Prohibition. A rousing tale from an author with first-hand knowledge of much of what he writes, readers will enjoy learning about Captain Kelley’s life through his writing, and through the many photographs of the author, the ships, and the land included in this self-published novel. Michael Parker. 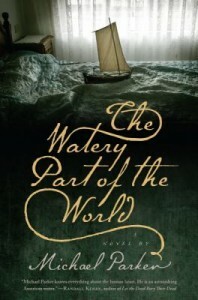 The Watery Part of the World. Chapel Hill, NC: Algonquin Books of Chapel Hill, 2011. Some years ago- never mind how long precisely- having little or no money in my purse, and nothing particular to interest me on shore, I thought I would sail about a little and see the watery part of the world. So begins Ishmael’s adventures, and Michael Parker likewise takes the reader straight out to sea to meet Theodosia Burr Alston. Historically, Theodosia was the highly educated daughter of the infamous Aaron Burr. In early 1813, Burr had returned from voluntary exile in Europe, and Theodosia was eager to join him. Sailing north to their reunion in New York, she sank along with her ship off the North Carolina coast, never to be heard from again. Which is of course where all the best stories begin. Parker’s Theodosia survives the pirate raid that scuttles her vessel, eking out a precarious existence on the Outer Banks with the help of a recluse named Whaley. Though far removed from the elegant lady she once was, Theodosia is still her father’s devoted daughter. Among the most valuable cargo on the ship were Aaron Burr’s personal papers; papers that, falling into the wrong hands, would certainly endanger his life. The pirate captain, a savage but educated man named Daniels, now possesses them. Theodosia is determined to steal them back. Badly injured in attempting their recovery, she flees to nearby Yaupon Island. Sail forward one hundred and sixty odd years to 1970. Yaupon Island is “six square miles of sea oat and hummock afloat off the cocked hip of North Carolina.” Its population is three: two old, white sisters, Whaley and Maggie, descendants of the remarkable Theodosia, and Woodrow Thornton, the many-greats grandchild of the man who saved her life. Why does Woodrow stay on that hurricane-battered spit of sand, his children wonder? All to care for two crazed white women who don’t treat him any better than a handyman? Maggie and Whaley, different as night and day, are certainly more than a little mad in their own ways, but possibly from sorrow and disappointed hopes more than anything else. Parker flashes back and forth between these two tales like lightning on the shoals, filling his watery world with historical figures, heartbreak, betrayal, and the raw desire of the human heart to outlast every attempt at drowning. Jimmy C. Waters. New Bern: 1710 in the Carolinas. Toccoa, GA: Currahee Books, 2009. This novel takes on a little-known but interesting period in North Carolina history. Through the experiences of Martin Bender, a young immigrant to the Carolina Colony, the author unravels a complicated tale of religion, war, piracy, and the simple struggle for survival. Historical persons such as Thomas Cary, Baron de Graffenreid, John Lawson, and Blackbeard figure in the novel as Martin comes to adulthood fighting the Tuscaroras inland and then pirates along the coast. Filed under 2000-2009, 2009, Coast, Craven, Historical, Waters, Jimmy C.